Am I My Genes? NPR coverage of Am I My Genes? : Confronting Fate and Family Secrets in the Age of Genetic Testing by Robert L. Klitzman, M.D. News, author interviews, critics' picks and more. NPR stories about Am I My Genes? 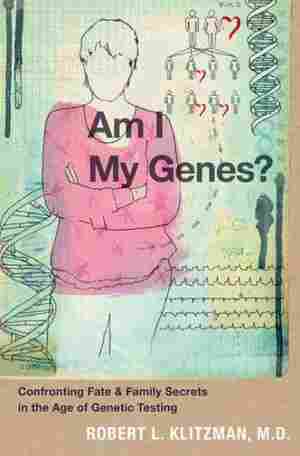 Excerpt: Am I My Genes? In the mere 50 years since DNA was discovered, researchers have made extraordinary advances. Genetics appears likely to enhance our comprehension and treatment of many diseases, and our understandings of important aspects of ourselves. In 1986, investigators identified the first mutation for a human disease — Huntington's disease (HD). Since then, they have found mutations associated with thousands of other disorders, including cystic fibrosis, sickle cell anemia, and breast cancer. In 2003, an entire human genome was sequenced. Currently, doctors routinely check infants and pregnant mothers for genes associated with dozens of disorders, some of which are readily remediable. Scientists are also reprogramming stem cells, which have not yet specialized to become parts of particular organs (whether liver, muscle, or brain). Researchers are working to turn these protean cells into whatever types of tissue an injured body may need (e.g., heart, pancreas, or spinal cord), hoping to develop new treatments for many disorders. In 2009, researchers found that altering merely four genes can transform a skin cell into many other types of cells in the body. In May of 2010, the scientist Craig Venter announced he had "synthesized life," using a computer and four chemicals bought off a shelf to replicate the DNA of a bacteria that then took over another cell. Increasingly, in the United States and elsewhere, the field is also affecting human reproduction. Assisted reproductive technologies or ARTs, once criticized for producing "test tube babies," now account for 7% of all births in some European countries, and 1% in the United States. These numbers are soon expected to reach 10% — equal to the proportion of infertile couples. Preimplantation genetic diagnosis (PGD) enables women to select which embryos to implant into their womb, based on the presence or absence of over 5,000 different mutations. Thus, couples are now eliminating certain lethal mutations from their future descendants, and in some cases, deciding the gender of their future children. Many men and women now buy and sell eggs and sperm on the Internet to assist other couples and individuals in having children, though critics argue that such transactions "commodify" these essential and sacred components of human beings — turning them, and thus us, into mere marketplace goods. Pharmaceutical companies seek to develop "personalized medicine" — tailoring drugs for specific individuals based on the individual's genetics. Through this field of pharmacogenomics, genes are being identified that predict responsiveness to particular medications, rather than diseases. Our individual DNA may thus help determine which medication for an ailment will work best for each of us. Genetics may then be used not only to assist in foreseeing and diagnosing certain diseases, but in treating them, too. Knowledge is swiftly advancing about not just genes but the mechanisms through which they make and assemble proteins and regulate themselves, launching new, larger fields of "genomics" and "proteinomics." Just as antibiotics shaped the last century, eliminating certain epidemics of infectious disease, many researchers argue that genetics is beginning to alter several aspects of the twenty-first century. Yet while researchers are discovering that single mutations are responsible for thousands of rare diseases, far more common ailments such as diabetes, cancer, heart disease, and depression appear to result not from single isolated mutations but rather from complex interactions, not yet well-understood, between multiple genes and other, environmental inputs. DNA mixes and sorts, and combinations of genes and gene-environment interactions, rather than single point mutations, appear to be responsible for most common diseases. Debates thus rage about the current and future extent of genetic knowledge — whether genetics is overly hyped, and if so, to what degree. Some critics have become wary of the ability of genetics to provide much new, useful information. Clearly, at times, much hype and "genetic reductionism" occur, but the study of DNA is also still in its infancy. Our comprehension of genetics and its potential effects is still young. Now, at the start of a new millennium, it is impossible to predict what the future, or even just the next 50, 100, or 200 years will bring. To profound and unique extents, our DNA clearly helps shape us — for example, key aspects of how we look and whether we may be predisposed to develop certain diseases. To what degree and how exactly it does so, however, remain unknown. Countless uncertainties persist. For instance, when scientists first cracked the human genome many were astonished that it contained so few genes compared to other mammals, and that we shared 99% of this DNA with primates, and 85% with mice. How humans thus look and act so differently from other species is not wholly clear. Scientists still think that half of our DNA is "junk," its function still murky. They do not yet fully know what information and instructions it may hide that they might soon begin to decipher. In upcoming years the functions of countless additional genetic sequences will undoubtedly be discovered. From Am I My Genes? : Confronting Fate and Family Secrets in the Age of Genetic Testing by Robert L. Klitzman, M.D. Copyright 2012 by Oxford University Press, Inc. Excerpt by permission of Oxford University Press.